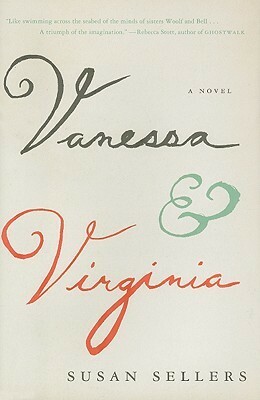 Recently, in one of those rather random moments at a bookstore, I picked up the short novel Vanessa and Virginia by Susan Sellers. Written in 2009, the novel is a fictionalized, yet by all accounts very faithful, account of the relationship between Vanessa Bell and her sister Virginia Woolf told from Vanessa’s point of view. I love family drama, so I probably would enjoy it regardless. But it also touched a chord because of the role Virginia Woolf’s novels played for me as a teenager and young woman. Reading her prose allowed me to feel things I wasn’t, and opened a journey of queer-feminism at a time when I found little else to guide me. I’ve since grown and reflected on Woolf’s work in a more critical way, but there was a time in my life that I held her books close and thought of her as my favourite author. New Episode: Where is Climate Change in Fiction? This episode asks: how is contemporary fiction incorporating (or not) the present realities of climate change and can it provide avenues for building a response to climate crisis? To do this we look at two recent books about post-climate change dystopia – American War by Omar El Akkad and Gold Fame Citrus by Claire Vaye Watkins. We also bring in essays by Amitav Ghosh from his book The Great Derangement and reflect on his claim that “the climate crisis is also a crisis of culture, and thus of the imagination”. It’s a big topic, and we do our best to keep the conversation on point. It also sets us up for a future episode on Land Epics (you know you want to know what that’s all about!). You can also find us in Spotify, iTunes, and other podcasting apps! We’ve got some great news everyone – you can now listen to us on a real podcasting platform! Going forward we’ll be posting all our episodes to our feed on anchor.fm. Click here to find us, or download the app to subscribe. Use anchor.fm/conspiracy-of-equality in your podcatcher. Hopefully we will soon be up on other platforms (stay tuned!). Episodes will continue to be available on the website for now. Also in the great news department – we have a brand new episode! In this episode we’re taking a step back to look at why we’re doing this project and who we are as readers. We delve deep into our own stories of becoming better readers and some of the early reads that pushed us along in our journey through fiction and liberation. Our intention is to become more intentional with this project. With that in mind, we’ve set out a schedule to have new episodes out every couple months. We’ll be keeping roughly the same format but with lots of new ideas for content ranging from fiction and climate change to Isabel Allende’s vision of freedom, to our many feelings about John Steinbeck and Dionne Brand. We’ve got a new episode! It’s been a busy Fall for the CoE, but we finally have some new content ready to share. Check out our latest episode, Writing the Moment, where we explore the work of Mohsin Hamid. In the Reluctant Fundamentalist, published in 2007, Hamid carried us into the intimacy of the post-9-11 world and challenges the stories and meaning of fundamentalism itself. In Exit West, published in 2017, he brings two characters and their relationship to life as they navigate the uncertain world of displacement and arrival as refugees. For us, both books provide a deep insight into the moments of history they capture, telling us more than we typically hear, or remember, about how big moments feel and how feelings matter. Look for more episodes coming in 2019! We’ve finally got some new content – episode 5 can be heard here! In this episode we explore reading Indigenous literature in Canada/Turtle Island as settlers and what it can mean to read towards decolonizing ourselves and the land. Books we discuss here are The Break by Katherena Vermette, Birdie by Tracey Lindberg, and A Geography of Blood by Candace Savage. It’s a bit of a change to include a piece of non-fiction in the mix, but we think it helps as we work through our responsibilities as settlers and treaty people as they relate to the practice of sharing stories. For an even deeper dive, take a look at this amazing interview between Black Canadian author Dionne Brand and Nishnaabeg author Leanne Betasamosake Simpson on Indigenous creativity and the need for a decolonial lens to CanLit. We’re just starting on this journey, and there are lots of other voices and stories to listen to and tell. Here’s our working list of other Indigenous authors we’ve read/want to read more of: Leanne Simpson, Thompson Highway, Thomas King, Lee Maracle, Cherie Dimaline, Carleigh Baker, Teresa Marie Mailhot, Richard Wagamese, Rosanna Deerchild. Help us add to this list with suggestions in comments. Episode four seems to have come together faster than the others…maybe there’s hope we could get good at this! Check out our latest on Ursula le Guin and the question: can we be Estraven? Important discussions have been emerging recently about the pervasiveness of racism and colonialism in the mainstream Canadian Literature and publishing scene (also known as CanLit). Calls from Indigenous and Black writers to provide more support and opportunities for publishing, alongside challenging the myths of what CanLit is, and its elitist and exclusivist histories are out there, and need to be read, absorbed, and put into action. I think we’ll be saying more about this in the future, but for now our words are not as powerful and clear as those of Jully Black from her own experience as a panelist on Canada Reads. Where is Climate Change in Fiction?